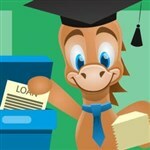 CreditDonkey wants to help young adults save money and make savvy decisions. 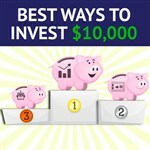 We're striving to make personal finance fun and so easy a donkey can understand. This approach has helped us develop a robust, growing audience (and, admittedly, some hurt feelings within the donkey community). Now we're looking to experiment with new ways to deliver our message, including email, video, social media, podcast, and events. If you're a creative, motivated and collaborative individual with STRONG writing skills, we want YOU. Located in lovely Old Town Pasadena, near plenty of restaurants and minutes from the Metro Gold Line. Must be able to commute to our Pasadena office. Follow social media trends and topics obsessively? Know what it to build an online community from the ground up? Have a genuine desire to learn and grow within the PR field? Then join CreditDonkey in our mission to help young adults save money. Just as important, you'll gain invaluable, hands-on experience with media relations, community building, and content creation. Managing Facebook, Twitter, Instagram, YouTube and other social media accounts. That means: tweeting, posting, creating videos and other types of interactions. Email us your resume at jobs@creditdonkey.com with the job title. Be sure to include any relevant experience blogging, running a YouTube channel, hosting a podcast, or moderating a Facebook group/Reddit sub, etc. DO NOT write a cover letter—we like reading them about as much as you like writing them…maybe less. Instead, send us 2 short but thorough paragraphs: one about a finance site you read regularly (and why) and the other about a social media site/account/personality you find particularly effective (and why). Do you love finding great deals and promotions? Would you like to write about it? CreditDonkey is looking for a content writer to cover deals, coupons, and promotions related to major purchases (e.g. 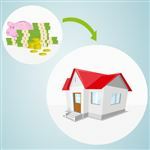 : car, banking, engagement ring, first house, retirement brokerage account, life insurance). The ideal candidate is a self-driven writer, INCREDIBLY detail-oriented researcher and writer with a clear, engaging style. Aptitude for tracking down information online—not just cursory Google searches. DO NOT write a cover letter—we like reading them about as much as you like writing them (maybe less). Instead, send us 3 relevant writing samples and 1 concise but thorough paragraph detailing a recent deal you found. Explain the deal, NOT how you found it.